Our vision is of a world where no one is blind from avoidable causes and where visually impaired people participate equally in society. Each year, we improve the lives of millions of people in the poorest parts of the world. 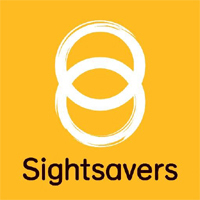 Sightsavers is growing rapidly and offers a great place to work. An exciting opportunity has arisen for a Project Assistant to join our team and contribute to the planning, implementations and continuous monitoring and evaluation of our programmes to ensure maximum results. Reporting into the Programme Manager you will be responsible to support and work with partners on site for enhancing equal accountabilities and therefore play a key role in planning and reviews of our programmes. You will collaborate with regional, district and other partners working in the geographical areas to facilitate the identification of new opportunities that interlinks with the initiatives of enhancing eye health services and programme growth and development. The successful candidate will support planning and implementation of key projects working closely with key partners both internally and externally. You will assist with identifying areas of improvement through monitoring and evaluation of data then promote shared learning by producing factual reports to disseminate amongst associated networks. You will be a strong advocate for social inclusion and be sensitive to gender equality whilst conducting your duties as a Project Assistant. To apply for this post, please download our application form (download in Large Print here) and return the completed application form and equal opportunities form (download in Large Print here) as two separate documents tojobs@sightsavers.org. We’re an equal opportunities employer, and we particularly encourage qualified people living with a disability to apply. We will be contacting shortlisted candidates for interview, shortly after the closing dates. We very much regret that in view of the large number of applications we receive, we are unable to respond if you are unsuccessful. I am sure that you will understand the need to concentrate resources towards our work.